Puget Sound's killer whale colony is dwindling. 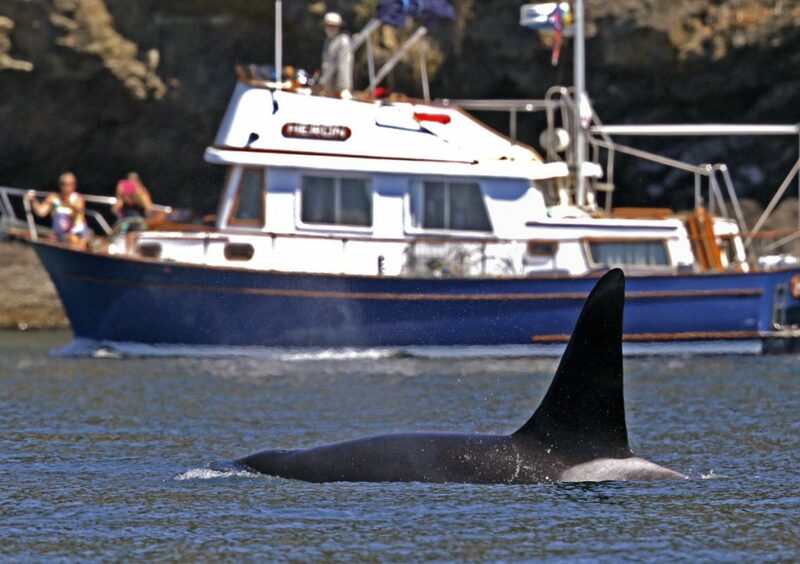 SEATTLE — A Washington state task force on critically endangered Northwest orcas wants to temporarily suspend whale-watching boat tours focused on those whales. The group advising the governor voted Tuesday to recommend a three- to five-year moratorium on viewing southern resident killer whales by all boats in Puget Sound. Disturbances from boats can interfere with the whale’s ability to find food or communicate. The whales also suffer from lack of salmon and contaminations. There are just 74 animals. Critics say the move doesn’t address their dwindling food supply, and that barge and commercial fishing boats are far louder. The recommendation is one of many that will go before Gov. Jay Inslee and the Legislature.